The Iranian economy has greatly benefited from the lifting of international sanctions in 2016, when the JCPOA nuclear deal came into force. Oil production and exports rebounded strongly, which spilled over into non-oil sectors. However, the economy is yet to return to its 1976 peak in real per capita GDP terms, reflecting numerous challenges over the past four decades, including poor policy choices and the fallout from persistent conflict with the US. 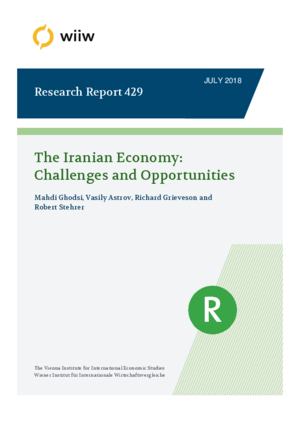 This report presents a broad overview of the Iranian economy, and identifies the main challenges to long-run economic development, including in foreign trade and investment, fiscal, monetary and exchange rate policy, and the institutional environment. It concludes that an already difficult situation for Iranian policy-makers will be exacerbated by the US decision to pull out of the JCPOA, and the introduction of new sanctions.